Certified Calibration accreditation ISO/IEC 17025 (201,202,206) (REG. NO. KC02-129 Korea Laboratory Accreditation Scheme (KOLAS)). Certified Calibration accreditation ISO/IEC 17025 (20609) REG. NO. KC02-129 Korea Laboratory Accreditation Scheme (KOLAS). Won Silver Prize of Precision Measurement Ability in the 31th Precision Technical Promotion Convention. Certified ISO/IEC 17025 (REG. NO. KC-02-129 Agency for Technology and Standards). Won President Prize of Precision Measurement Ability in the 37th Precision Technical Promotion Convention. Joined as member of Korea Scientific Instruments Corporative Association. Joined as Special Member of KS Corporative of Centrifugal Force Concrete Goods (REG. NO. A88003 Industrial Advancement Administration). Joined as Honorary Member of KS Corporative of Concrete Vibrational Goods (REG. NO. 457 Industrial Advancement Administration). 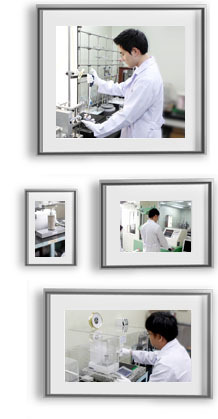 Incorporated as HEUNGJIN TESTING MACHINE CO.,LTD. Selected as a Skill worker Enterprise Exempted from Military Service (REG. NO. 637 Office of Military Manpower). Joined Korea Traders Association & Registered as Trade Business Enterprise (REG. NO. 11434610 Korea Traders Association). Won Award of Excellent Management from Korea Scientific Instruments Corporative Association. Participated in the 1st International Concrete Industrial Exhibition in Seoul Korea. Selected as a Skill Worker Firm Exempted from Military Service (REG. NO. 637 Office of Military Manpower). Registered as Military Supply Contract Firm by Office of Procurement, Ministry of National Defense. Participated in the 2nd International Cement/Concrete Industrial Exhibition in Seoul Korea. Won Silver Prize of Precision Measurement Ability in the 27th Precision Technical Promotion Convention. Participated in the 3rd International Cement/Concrete Industrial Exhibition in Seoul Korea. 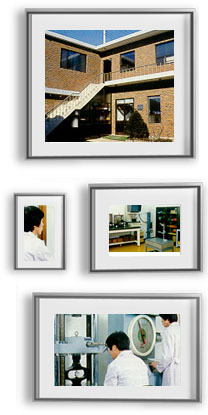 Established HEUNGJIN TESTING MACHINE CO. Completed Standard/Testing Room (REG. NO. 5816 Industrial Advancement Administration). Certified as Designated Calibration Laboratory (REG. NO. 103 Industrial Advancement Administration). Joined as Member of 9Korea Measurement & Instrument Calibration). Selected as a Promising Small-Medium Sized Enterprise (REG. NO. 270 CHOHUNG BANK CO., LTD.). Selected as a Technical Guidance Enterprise (Industrial Advancement Administration). Obtained Approval of Maintenance of Weighing Machine by Municipal Office. Obtained Approval of Manufacturing Weighing Machine (REG. NO. 81-65 By Municipal Office). Completed Standard & Testing Room. Obtained KS Mark (REG. NO. 5819 Industrial Advancement Administration). Certified as Designed Calibration Laboratory 9REG. NO. 103 Industrial Advancement Administration). Selected as a Technical Guidance Enterprise by Industrial Advancement Administration.